A young make passenger has apparently been airlifted from a Miami based cruise ship after choking on a piece of meat while dining onboard. Local news reports that the young passenger was onboard the Norwegian Getaway while it was near Port Miami yesterday evening, December 1st. Emergency dispatches mentioned that the man even stopped breathing at one point. 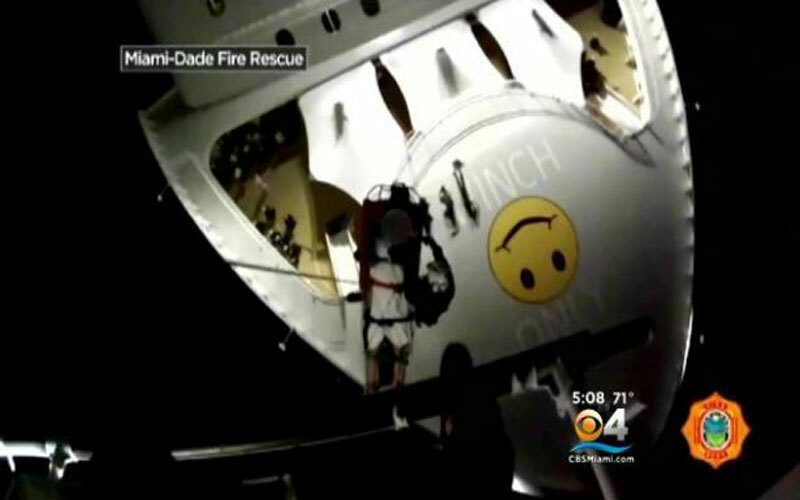 CBS Miami has posted a video of the man being medevaced from the ship via a rescue helicopter. An attempt had been made to rescue him by a small boat but the operation failed due to the weather conditions. The video is one of the most detailed cruise ship airlifts yet. By watching the video it even shows the patient being hoisted up to the Helicopter. After the young man was airlifted he was transferred to Jackson Memorial Hospital and his condition is not known. Cruise Hive has contact NCL for further details and will update this post once we get a response. Norwegian Getaway is a Miami based vessel sailing 7-day eastern Caribbean cruises. The ship is 146,600 gross tons and carries over 4,000 passengers.